Role of PaaS in the Development Phase of Software or any CMS based web design is often ignored. Possibly the developers of various segments are still not ready. The advantages of the cloud is now well known. Servers are scalable, the customer pays only for services used and saves having to invest in hardware and software. Speed ? ?also plays a crucial role. 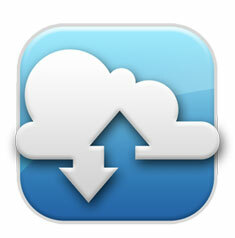 This allows applications in the cloud often develop quickly and offer. Especially mobile applications will benefit. A cloud segment is therefore becoming more prominent – Platform as a Service. Despite the projections, the market of PaaS itself is still in the development phase. Neither the small scale users, nor the developers gives the proper value for utilizing even the free quota of usage. In the article, PaaS – Everything You Wanted To Know; but from the questions from the regular readers of this website, often make us to think – whether the number of many Tweets, Plus Ones on that article has really any value or we are writing like the other “Made for AdSense” type of websites ? Role of PaaS through our website may be has not been properly conveyed. It is undeniable fact is that; this the only website which has step by step guides on both PaaS and IaaS along with theoretical discussions. There can never be such bigger resource with diverse brands. While we will advice the users to give more importance to our search box to find anything on this website, it is also our responsibility to possibly highlight the never thought way of usage in a different way through change in web design. Many software developers still lack a strategy for dealing with PaaS. The major user of PaaS is the corporate users, who practically can use IaaS (read Cloud Server) are saving the cost with deploying the strategy of using PaaS and the individual users, mainly for development purposes are seeking for IaaS, where PaaS would be a great solution. PaaS is in addition to software and infrastructure as a service ( SaaS and IaaS ) is one of three service models in cloud computing. Already on the market are some variants of the PaaS model emerged. An example is the AppFog model and the Heroku Cloud model. Both are flexible; as in both cases, the database can be separated, which is the primary importance of any major PHP-MySQL based softwares; these can be effectively used for software development and testing. You can check my YouTube channel for more clarification of usage of these platforms : Abhishek Ghosh’s Cloud Computing Guides on YouTube. Obviously, you can definitely search with specific brands like Heroku, AppFog in the search box on this website (located at top right). These will possibly clear the idea of Role of PaaS in the Development Phase. This Article Has Been Shared 1245 Times! Cite this article as: Abhishek Ghosh, "Role of PaaS in the Development Phase," in The Customize Windows, February 28, 2013, April 20, 2019, https://thecustomizewindows.com/2013/02/role-of-paas-in-the-development-phase/.